Comfort seat with a low-profile suspension and quick weight adjustment. The broad ergonomic seat cushions and the height- and angle adjustable armrests support the body as optimal as the backrest. 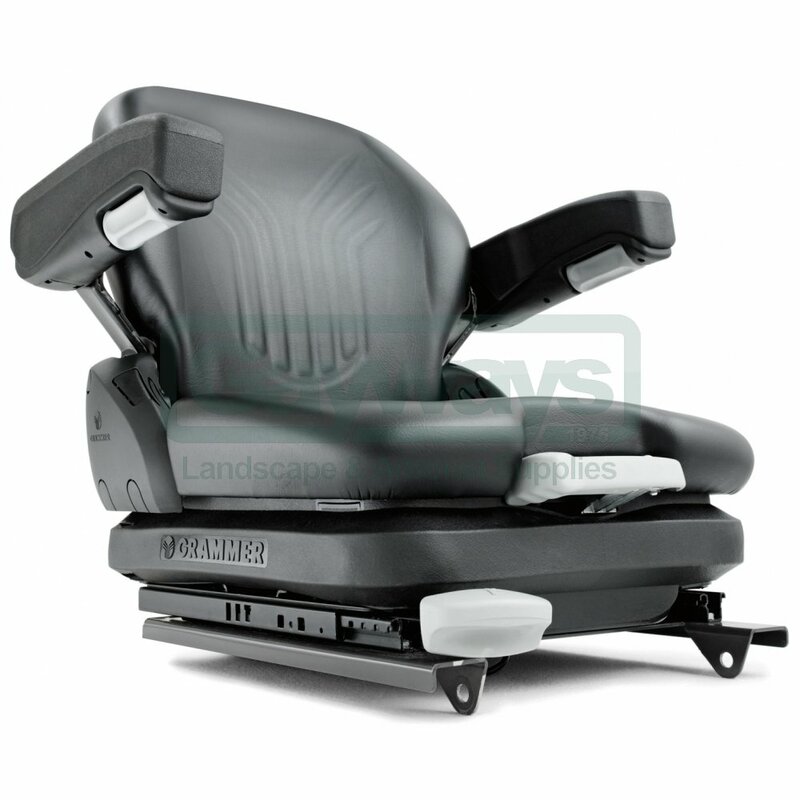 Equipped with automatic retractable seat belt and a lumbar support for the sensitive lumbar region. Adjustable backrest height in 13 steps. Armrests, as shown on picture, can be bought separately. *Please note that any sharp MOUNTFIELD and STIHL products can not be shipped out as per the manufacturer's policy. They can either be collected from any of our stores or they may be hand delivered within a 20 mile radius, with applied delivery charges on top. * All our deliveries are either by UPS or Royal Mail '2nd class signed for'. Any abnormal charges will be shared with the customer, if applicable. Please call Customer Services on 020 8908 4744 for any delivery inquiries or click here to know more. Gayways LTD Registered office: 213-217 Watford Road, Harrow, London, Middlesex HA1 3UA. Registered in England. Company registration number: 06588030. VAT no: 932 1511 59.